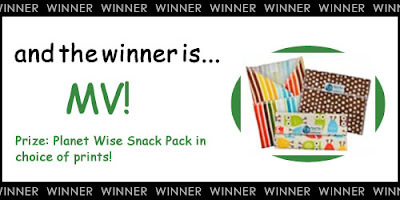 Planet Wise Snack Pack Giveaway WINNER! Getting Down with the Cloth Diaper "CD" Lingo! 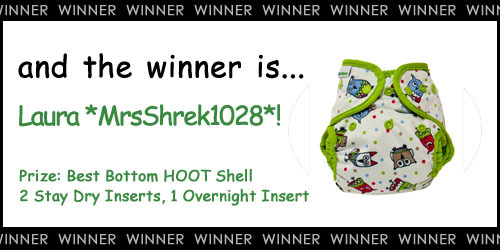 Best Bottom Diaper Giveaway WINNER! Fuzzi Bunz Perfect Size LOWER PRICING! Welcome to the first post in a new series on the Nicki's Diapers Blog, Cloth Diapering from Day 1! Many of you have been reading my posts since the Nicki's Diapers Blog started, but let me re-introduce myself! My name is Annie. I've been married for just over 5 years and have 2 little boys, Ian is (almost) 4 and Sean is 2. We are expecting our 3rd little boy (name yet to be revealed ;-)) in just over 5 weeks! I've been cloth diapering for (almost) 4 years and I've been working at Nicki's Diapers for just over 2 years! 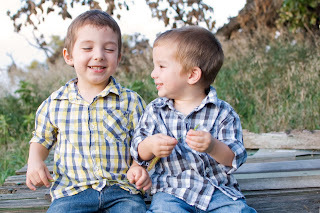 Although we started cloth diapering early on with our boys, I wanted to challenge myself to start cloth diapering from day (or minute!) 1 with this baby. I'm not saying I will never use a disposable diaper, or that I will drive myself into the ground in order to make sure a load of diapers gets into the wash at midnight, but this likely being our last baby, we thought it was something different and positive that we could try! Soo... here's my plan! I have a series of posts planned out, including some that will come before baby even arrives. I will discuss building a newborn stash, what I plan to bring to the hospital, washing and prepping newborn diapers, using cloth diapers at the hospital, circumcision and cord stump care with cloth, and have feature posts on different types of diapers on newborns. I will try to include as many pictures as possible (because who doesn't love newborns in cloth?!) and we will do some fun giveaways along the way! I welcome any and all suggestions on more topics, so if you have an idea, feel free to leave it in the comments on the blog or post it on our facebook page! We have had a lot of questions about the differences between the new Fuzzi Bunz Elite One-Size Pocket Diaper and the "Old Style" Fuzzi Bunz One-Size Pocket Diaper. If you're not able to get your hands on one at our Madison Retail Store, we hope this side-by-side picture comparison will help answer your questions! The super customizable button adjustment is still present (and with the same numbering system) on the Elite Diaper, but the buttons are now hidden so they don't touch your baby's skin. You can still adjust the leg and waist casings individually to allow for a perfect fit for your little one. The front panel is slightly more narrow and the front of the diaper is also slightly tapered to allow for an even trimmer fit. Again, Tooti Frootie is the Elite, Black is the "old style". The snaps on the front panel have been slightly changed, removing the inner most thigh snap on each side. The tabs have also undergone a very slight change in shape as have the snaps on the tabs. Now included with each Fuzzi Bunz Elite One-Size Diaper are two Minky inserts. They are trimmer (but with the same absorbency), will stain less and will hold less odor than microfiber. As you can see below, the inserts are the same size as the microfiber inserts included in the "old style" diaper. Minky inserts are on top, microfiber on the bottom. One thing that may not be quite as obvious upon first glace is the improved fleece. It's designed to wear better without pilling, dry more quickly when washing and keep baby feeling dryer, longer during wear. A question that we have been asked several times is about the size of the pocket between the legs. As you can see from the picture below, this has not changed. In order to maintain a trim fit, the narrow pocket size is the same. The Elite diaper is on top and the "old style" is folded over on the bottom. Overall, I think FuzziBunz hit the nail on the head! If you were a fan of their One-Size Pocket Diaper before, you will be very pleased with the improvements to the Elite One-Size Diaper! If there was something small you didn't like about the Old Style, the Elite will likely be the answer! Take advantage of the sale price on the Old Style Fuzzi Bunz One-Size Pocket Diapers before they are gone! This includes the Nicki's Diapers EXCLUSIVE Black Fuzzi Bunz One-Size Pocket Diaper! FREE Shipping on ALL Pocket Diapers at Nicki's Diapers! If you're new to the world of cloth diapering, or still trying to figure things out, you've probably seen your fair share of abbreviations and terms on different cloth diapering forums or Facebook discussions. Making sure you've found the correct diaper for your child can be overwhelming enough, much less trying to figure out what a HHOSS is! We've compiled a list of the most common cloth diapering related abbreviations, including diaper brands, to help you through! The list is long and I'm sure there are many that I haven't covered! A few months into cloth diapering, these terms will start to come second nature and you'll be chatting it up with the pros! Can you think of some terms that are missing from the list? 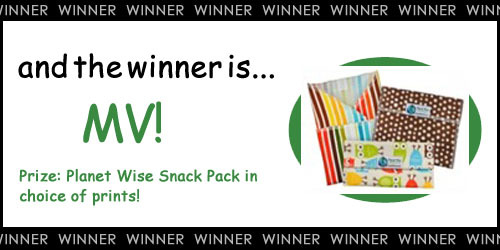 Leave a comment with your additions and we'll randomly draw a winner on October 26th to win a Planet Wise Snack Pack! Congratulations! 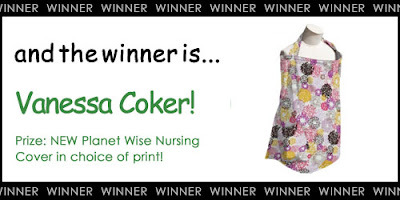 Please email annie@nickisdiapers.com within one week to claim your prize!! Hi, my name is Casey, and I'm a recovering overpacking addict. First, let me preface by saying that I have two kids in diapers. I need more things than a parent with just one child. However, I used to get a little overboard, and I'm hoping that I can help others to avoid my mistakes. I used to pack at least 5 diapers for each child, no matter what we were doing or where we were going. I used to always pack a change of clothes for both kids. Always extras "just in case." Extra everything. Because you just never know, right? After stuffing diaper bags full to the brim for well over 3 years (and removing all but one or maybe two diapers when I returned home anyway) I've finally begun to pare down and learn what it is that we really NEED when cloth diapering outside the home. I can honestly say that it's very freeing to have so little along -- and the departure from my normal over-preparedness feels a little like living on the edge (but really isn't). I will suggest right now to buy a SMALL diaper bag in the beginning -- you can't overpack if you don't have room. Learn to be brutal -- do you really NEED to take along 5 board books to go to the grocery store for a quick gallon of milk? Be organized. 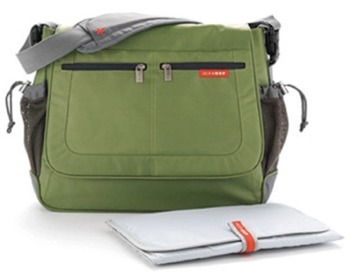 Look for a diaper bag with pockets that will suit your needs. I use my bag as a purse so that I don't have to carry two bags, so I use one pocket to carry wallet, phone, and keys. I love to keep my diapers separate from the rest of my bag, so I use a Planet Wise wet/dry bag. The clean diapers stay in the front. That way I can grab the clean diapers along with the wet bag when a change is needed and nothing falls out or gets buried. Be realistic. Plan for the time you will be gone. A little pre-planning will help you simplify and also keep you from trying to jam too much into a trip -- something else I'm known to do. If you change your baby every 2-3 hours, and you estimate that your errands will take you 3 hours to complete, two diapers should be fine. I keep a few emergency disposable diapers in my car's glove box. Pack a prefold diaper instead of a changing mat. It can serve multiple purposes (burp cloth, bib, or extra "just in case" diaper) and can be put through the wash.
Look for a bag that has exterior pockets for bottles/sippy cups to create more room on the interior. Keep an extra set of clothes for each child (swap out sizes when necessary) in your car's trunk or under the back seat. They're there in case of a mess happening, but you won't have to tote them around everywhere. Remember: Worst case scenario, you have to leave early. Not the biggest deal in the world, it happens to everyone with kids! So what do you really need to pack? Let's imagine that we're going to run to the store with one child. It's a big trip, and might take us up to 3 hours. I use cloth wipes, so I'd put a small handful inside a Planet Wise small wetbag along with my spray bottle of solution and a small tube/tub of ointment. (The small wetbag keeps any possible leaks at bay, and I suggest using your peri bottle from the hospital -- it snaps tight and is taller/slimmer than most spray bottles, plus it's free and recycled.) I put my small bag of wipes/solution inside the wet/dry bag with the diapers -- when I grab the larger bag for a diaper change, everything I need is right there.I pack a prefold diaper to use as a changing pad or other utility. I pack a sippy (or bottle) into the exterior pocket. Inside my "mommy pocket" I put my phone, wallet, and checkbook. I usually use a carabiner to attach my keys somewhere on the outside of my bag so that I'm not digging for them. I also try to find a pocket that's more accessible (on the front or near the top) for my mommy things. If I really feel it'll be necessary (we all know those days) I'll pack a small book or toy. And that's honestly it! You don't need to bring the whole nursery with you every time you leave the house -- I promise. Are you an overpacker, or do you pack lightly? 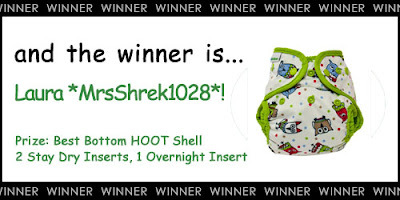 Best Bottom Diapers Nominated for SheKnows Parenting Award! Los Angeles, Calif. (September 30, 2011) – Best Bottom Diaper announced their nomination today for best Eco-Diaper in the 2011 SheKnows Parenting Awards. According to SheKnows, the coveted award recognizes outstanding products in the parenting and pregnancy industry based on functionality, quality and convenience. Winners will be announced October 25, 2011 on SheKnows.com. 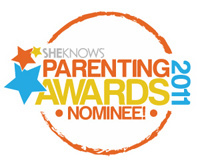 SheKnows, a global destination for women with the latest news on parenting, health, entertainment and more, created the award program to recognize products within the parenting industry for excellence. The awards span over 50 comprehensive sub-categories that cover everything from baby gates and diaper bags to pregnancy essentials and eco-toys. As a nominee, Best Bottom Diapers will also be eligible to win an Editors’ Choice Award, which spotlights one specific brand per category chosen exclusively by the SheKnows Editorial Team. Starting September 18, 2011, readers can access voting here! If you haven't already noticed, there is new LOWER pricing on Fuzzi Bunz Perfect Size Diapers! These super trim pocket diapers are a favorite at Nicki's Diapers! While one-size pocket diapers are very popular, using a sized pocket diaper definitely has it's benefits! An extra small or newborn sized diaper will generally start fitting right from birth, whereas a one-size diaper generally starts fitting closer to 10 pounds. Also buying up through the sizes as baby grows reduces wear and tear on the diapers and makes it much more likely they will get through multiple children! You can now purchase Fuzzi Bunz Perfect Size Pocket Diapers at the following prices with FREE shipping on ALL pocket diapers at Nicki's Diapers!